Please call 412.942.5728 to schedule a consultation appointment. 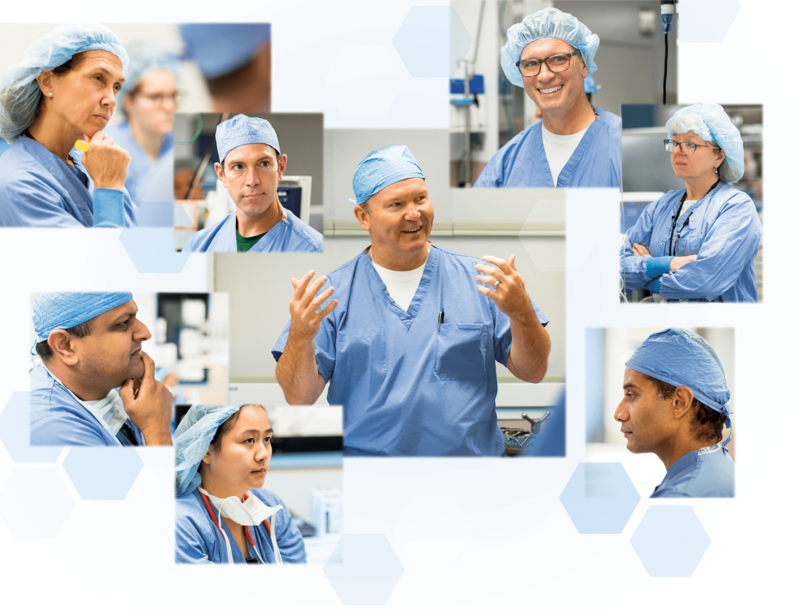 Dr. Kiser has pioneered innovative approaches to heart surgery that are transforming the treatment of certain heart conditions, including atrial fibrillation, a disorder of the heart’s rhythm, as well as valve and coronary disease. He conceived and developed the innovative convergent hybrid ablation procedure for the treatment of persistent atrial fibrillation, the most common heart rhythm disturbance and a leading cause of stroke. He also has extensive experience in the surgical treatment of cardiac valve disease and coronary artery disease, and as a thoracic surgeon, in the treatment of diseases of the lungs, chest wall and esophagus, including cancers. Dr. Kiser is a Fellow of the American College of Surgeons, the American College of Cardiology and the American College of Chest Physicians. Dr. Kiser is the founder and CEO of Advanced Cardiac Access Training Institute in North Carolina, which has provided education and advanced training in surgical skills and procedural simulation to other surgeons across the United States and around the world. Dr. Kiser has authored numerous scientific papers and textbook chapters on cardiothoracic surgery and a wide range of other topics. With his arrival at St. Clair, Dr. Kiser brings a wealth of capabilities: exemplary surgical skill, inspiring leadership, a fertile mind and an invigorating sense of enthusiasm for the future of cardiac care at St. Clair. Click here to learn more about Dr. Kiser and a new era in Cardiac Surgery at St. Clair Hospital. Dr. Kiser (center) introduces himself to fellow physicians and other clinicians in an operating room at St. Clair. Dr. Kiser earned a medical degree with honors from the University of North Carolina at Chapel Hill. He subsequently completed a residency in general surgery there, as well as fellowships in cardiac and thoracic surgery. From 2011 to 2016, he served as the Chief of the Division of Cardiothoracic Surgery at the University of North Carolina at Chapel Hill, where he was also the Byah Thomason-Sanford Doxey Distinguished Professor of Surgery. Later, Dr. Kiser served as the J. Mark Williams Distinguished Professor in Cardiac Surgery, Chief of Cardiac Surgery, and the Director of Cardiovascular Surgical Services at East Carolina Heart Institute, which is affiliated with East Carolina University, in Greenville, North Carolina. In May 2018, Dr. Kiser earned an MBA degree from the Kenan-Flagler Business School, also part of the University of North Carolina at Chapel Hill. 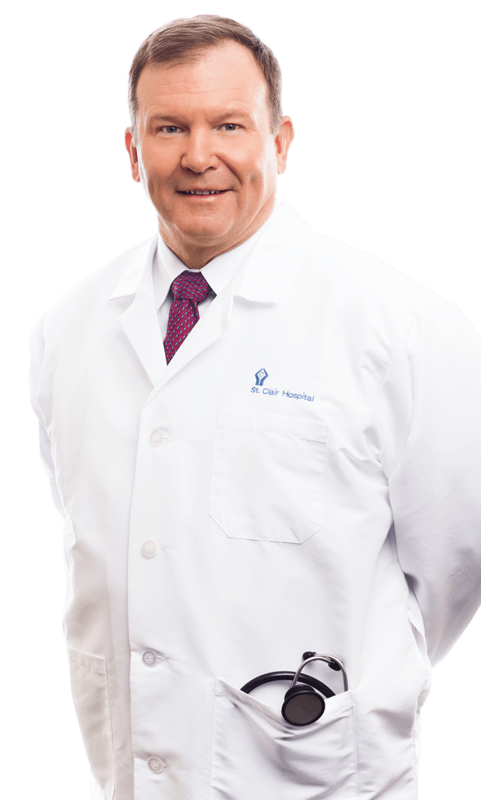 Dr. Kiser is employed by St. Clair Cardiovascular Surgery Associates, part of St. Clair Medical Services.